Alibaba's charismatic co-founder and chairman Jack Ma plans to retire from the Chinese e-commerce giant on Monday to devote his time to philanthropy focused on education. 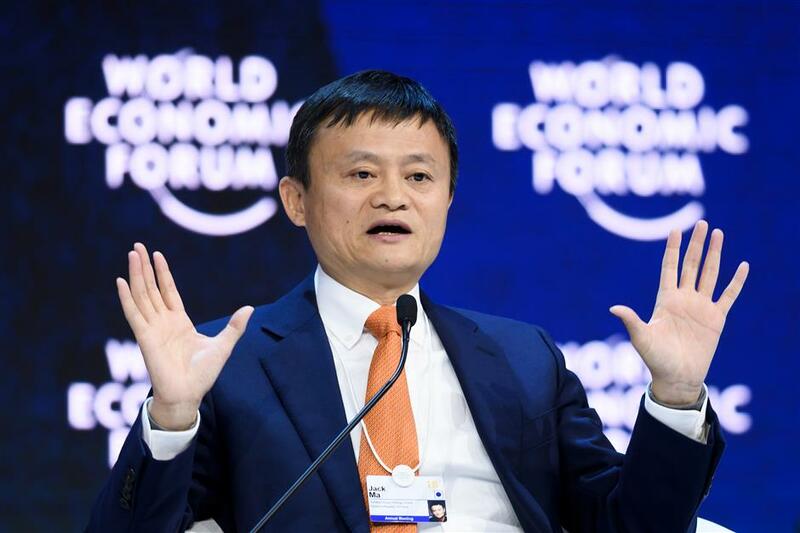 In this file photo taken on January 24, 2018, Alibaba Executive Chairman Jack Ma speaks during the annual World Economic Forum on in Davos, eastern Switzerland. Alibaba's charismatic co-founder and chairman Jack Ma plans to retire from the Chinese e-commerce giant on Monday to devote his time to philanthropy focused on education, he told the New York Times in an interview. His own worth has soared along with that of the company, which has added cloud computing, films and e-payments to its growing portfolio and was valued at US$420.8 billion when the stock market closed on Friday. Ma, who gave up the title of CEO in 2013, said he now planned to devote his time and fortune to education. He is among China's richest men with a net worth of around US$40 billion, according to the Bloomberg Billionaires Index. "I think some day, and soon, I'll go back to teaching," he said, adding he had been preparing philanthropy plans at his eponymous foundation "for 10 years." After being knocked back by US venture capitalists in 1999, a cash-strapped Ma persuaded friends to give him US$60,000 to start Alibaba, which operated out of an apartment in Hangzhou. Meanwhile Internet and gaming giant Tencent, an e-payment rival, has seen its profits and share price drop amid an regulatory squeeze on the tech giant's online gaming business.